One contractor proposed to take no fee over and above their actual costs, but instead, would share in the cost savings they could wring out of the historical maintenance and sustaining capital processes with the owners. This was an opportunity that couldn’t be missed. If no cost savings were found, they had highly qualified maintenance and sustaining capital services at cost, cheaper than any of the competition. If there were cost savings, they only needed to pay the contractor a percentage of the money they saved! The devil is in the details in these types of arrangements however… Incentive contracts are an extremely effective way to encourage certain behaviors, but beware of unintended consequences. The plants in question had been operating for decades under various ownership banners. Each site had a management, supervision and employee team who had been there in many cases as long as the plant had been there. There was an understood hierarchy and way of doing things that had been ingrained through the years. Managers at the sites had traditionally been given bonuses for maximizing production and minimizing production costs. On the other hand, the plant services contractors had always been part of the furniture. They were there to do the maintenance and small projects and keep up with the housekeeping. They were not consulted, and in most cases were not even considered, when plant management wanted to do something. Now, with the new contract, these plant services teams were making recommendations about how to reduce costs. In some cases, the changes were inconsequential. But in others, the changes were very significant – such as pooling fork lifts at the site to be checked out when required. These kinds of changes meant plant operations could not have these resources parked in the alley at their beck and call whenever they wanted them. Within the first year, the cost savings ideas that had been presented by the contractor were numerous and significant, but less than ten percent had been accepted amounting to less than five percent of the potential savings. The contractor was frustrated and their management confronted the owner’s management. They claimed that the owner’s site management teams were blocking them at every turn and preventing them from implementing cost savings ideas – stopping them from making any money as a result. The amount of management time they had to dedicate to this contract for zero profit meant they were ready to pack it in. The owner’s site management teams were annoyed too. They felt the new contractor wasn’t supporting their efforts to maintain a smooth operation, insisting on regular high level meetings and sessions they felt distracted their team from the primary mission. They wanted their old small local companies back who did everything they requested without question. The contractor’s proportion of fee that came from the cost savings incentives was reduced from 100% to about 50%. The other 50% would come from a traditional fee based on hours worked. 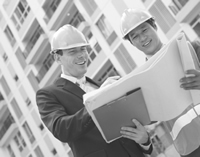 This reduced the contractor’s dependence and insistence on cost savings implementation. The bonus for the owner’s plant management team was restructured to align with the contractors. Whereas they had traditionally been awarded bonuses based solely on production and production costs, now a portion of their bonuses also reflected cost savings ideas implemented. The changes calmed what had been a very stormy relationship between the new regional plant services contractor and the owner’s plant management teams. Now, the teams began to work collaboratively and were able to implement a number of significant improvements.